Sir Malcolm Arnold was a "totally outstanding composer", Richard Attenborough said as tributes were paid following the 84-year-old's death. Lord Attenborough said Sir Malcolm was a "great humanitarian, and I think the touching elements within his music embody that part of his personality". Cellist Julian Lloyd Webber called Sir Malcolm an under-appreciated "genius". The composer, who won an Oscar for The Bridge on the River Kwai film score, died after a brief illness. He lived near Norwich and died at the city's Norfolk and Norwich Hospital. He had been suffering from a chest infection. Lord Attenborough said Sir Malcolm was "full of humour, full of commitment and excitement and involvement, and [he] cared about the films that he did work on and cared about people". Sir Malcolm is most famous for his 132 film scores, including Whistle Down the Wind and Hobson's Choice, but also composed seven ballets, nine symphonies and two operas. A new ballet using his music, The Three Musketeers, performed by the Northern Ballet Theatre, premiered on Saturday at the Alhambra Theatre in Bradford. "It's a compilation from all of his works - his symphonies, his chamber pieces, his film music - and when you see that you can grasp what kind of musician he was, and what the scope was, and the amount, just the pure amount of music he produced," said David Nixon, artistic director of the Northern Ballet Theatre. "He was very much an Englishman and his music had a great deal of patriotism to it and an Englishness about it, and I think that was the other very, very special quality." Paul Harris, who co-wrote the biography Malcolm Arnold: Rogue Genius, said the composer would have been "very delighted" with the reaction to the new ballet. "People were absolutely involved and absorbed in it, and at the end they just went completely wild, and I've not heard an ovation like that for a very long time," he said. Co-biographer Anthony Meredith said Sir Malcolm was "one of the great British writers of the symphony". "Malcolm relates to every member of society," he added. "He's not a sort-of middle class composer, he's a composer for everybody and I think we heard that again tonight. He appeals to all sorts." Lloyd Webber said: "I think he was a very, very great composer but uneven in his output. "Because he had humour in his music he was never fully appreciated by the classical establishment." Sir Malcolm leaves behind two sons and one daughter. 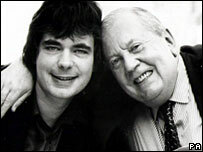 Anthony Day, his companion and carer for the last 23 years, praised Sir Malcolm as "the most wonderful man". "People didn't see the man that I knew because he had frontal lobe dementia over the last few years which slowly developed but, being with him, he was a happy, lovely man who enjoyed his music and enjoyed his life," he told BBC News. 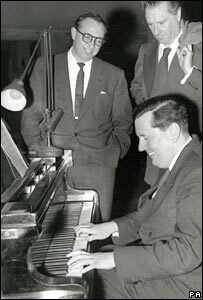 Sir Malcolm Arnold has left the world a richer place . Mr Day added that Sir Malcolm had written his Oscar-winning score for 1957's The Bridge on the River Kwai in 10 days. "They couldn't find anybody else to do the music in time because they wanted to release it to the Oscars," Mr Day said. Sir Malcolm's music continues to be performed and recorded extensively by leading orchestras both nationally and internationally. He was awarded the CBE in 1970.